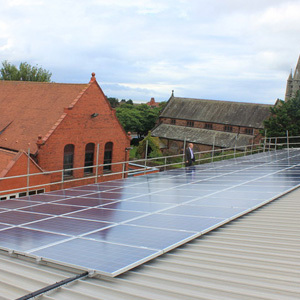 West Kirby Residential School had seen the advantages a solar PV system had to offer an organisation such as theirs; with heavy energy usage throughout the day, 5 or 6 days a week, it could greatly reduce their bills whilst also providing an additional revenue stream and setting a great example to their students. The system was installed on the roof of their sports centre and commissioned with the addition of an SMA Webbox, linking in the monitoring of the system to their local network. This allows all the students to log on to a computer within the school and see how much electricity they are currently generating – along with a host of the other facts and figures. 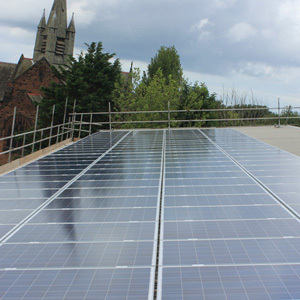 Using the quick-to-install Schletter mounting system, Williams Renewables was able to deliver this system, completely commissioned, within 4 days.